The ongoing Belt and Road Initiative (BRI) that’s taking place all over the world has got investors excited. Russia’s “hard” power is generally well-understood. This week, a commemoration was held to mark the 25th anniversary of the decades-old subregional grouping known as the Brunei Darussalam-Indonesia-Malaysia-Philippines East ASEAN Growth Area (BIMP-EAGA). President Xi Jinping on Wednesday encouraged more and better stories to be told about the friendship between China and the Association of Southeast Asian Nations. 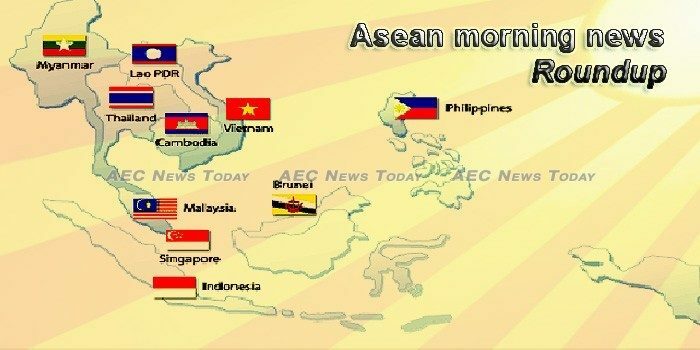 ASEAN nations and China have declared this year to be the ASEAN-China Year of Media Exchanges in a bid to produce information and form mass media networks that connect people. Southeast Asia is home to some of the fastest growing cities. Governments and organizations in the region are doubling their efforts to make their cities better equipped, connected, and accessible to citizens. Programmatic traders worldwide felt they spend a lot of time on reports. Mahathir Mohamad (JP/Wendra Ajistyatama) Malaysian Prime Minister Mahathir Mohamad, one of the last remaining members of Southeast Asia’s old guard who fought colonialism and transformed their respective nations into “tiger economies”, said ASEAN was stronger when he and his peers — Indonesia’s Soeharto and Singapore’s Lee Kuan Yew — were still around. The latest air pollution crisis has been a wake-up call to the way we in this country think about the need for a more environmentally friendly development strategy. China’s disproportionate ratio of men to women has prompted many bachelors to seek wives outside the country. Recently, Opensignal – a United States (US)-based company that specialises in mapping wireless coverage – presented its first report titled “How 5G will solve the congestion problems of today’s 4G networks”. Southeast Asian streaming platform HOOQ has unveiled the 2019 contenders for its annual HOOQ Filmmakers Guild program. Some local administrations want to to counter rural exodus through financial incentives, ranging from US$ 2,700 to US$ 8,900. It’s a story that never seems to go away. Year after year we hear and see the same things. Lawmakers in Laos are urging the government to be stricter on foreign business entities in the country in an effort to protect the environment and protect the livelihood of the people. Thailand and Laos have launched an annual campaign to prevent and address forest fire between both countries. The government is targeting for Malaysia to be among the region’s aerospace pioneers by 2030, said International Trade and Industry Minister Datuk Ignatius Darell Leiking. The palm oil sector needs to mechanise and automate further to raise productivity, said Dr Shariman Alwani, who is head of strategy, innovation and renewables at Sime Darby Plantation Bhd. It’s a notorious fruit that has plenty of fans in China. But that’s leading to worries in one country that’s supplying them. In an attempt to reverse a recent decline in foreign investment, Myanmar has set up a new ministry tasked with attracting and facilitating fresh inflows, though concerns over the re-imposition of import tariffs by the EU could cool investor appetite. The bilateral trade between Myanmar and the US totalled US$230 million in the October-December period in the current fiscal, with exports surpassing imports, according to data released by the Ministry of Commerce. Though Myanmar officials have expressed their appreciation for the benefits of the Belt and Road Initiative (BRI), Chinese analysts noted that more practical outcomes should be delivered apart from optimistic plans, as some BRI projects still face uncertainty in the Southeast Asian country. THE national government reported a budget deficit of P558.26 billion for 2018, as its expenditures of P3.408 trillion outpaced its revenues pegged at P2.85 trillion. THE national government posted a budget utilization rate of 60% in January, well above the year-earlier rate of 33%, the Department of Budget and Management (DBM) said. Between 1 January and 18 February 2019, 9,267 measles cases including 146 deaths were officially reported through the routine surveillance system from the Philippines Department of Health (DoH): a 266% increase with the same time period in 2018 (see Table 1). Singapore’s Minister for Trade and Industry Chan Chun Sing said the tightening in foreign worker rules announced in the budget this week was a “surgical” move targeted at specific industries to make the labour market more sustainable. Motorists found guilty of serious traffic offences will face harsher penalties as part of proposed changes to the Road Traffic Act. Singapore’s second-largest developer has a suggestion for the government: re-position the billionaire enclave of Sentosa as a tourism mecca like Bali. Hanoi appreciates the World Bank (WB)’s assistance and collaboration in improving local people’s living standards and developing urban infrastructure, particularly in transport, stated the city’s leader. Viet Nam’s economic freedom score is 55.3, making its economy the 128th freest in the 2019 Index. Its overall score has increased by 2.2 points, with a sharp increase in fiscal health and higher scores for investment freedom, according to the Heritage Foundation’s Index of Economic Freedom. Strong growth in blue chip stocks raised the VN-Index by 17 points Thursday despite most other stocks falling in value.